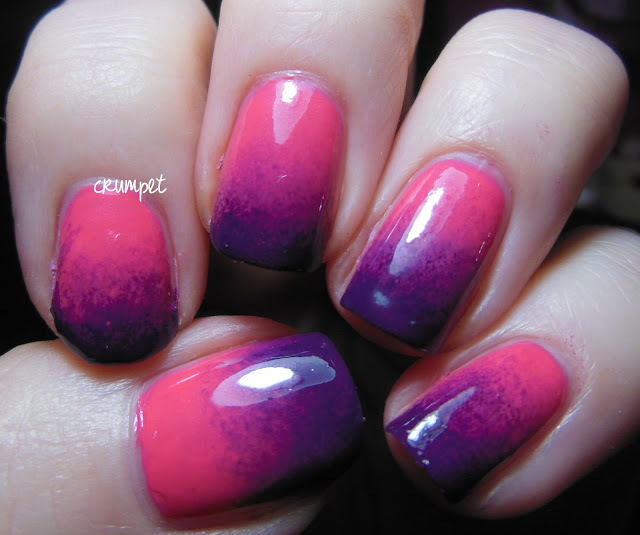 Welcome to the long weekend!! 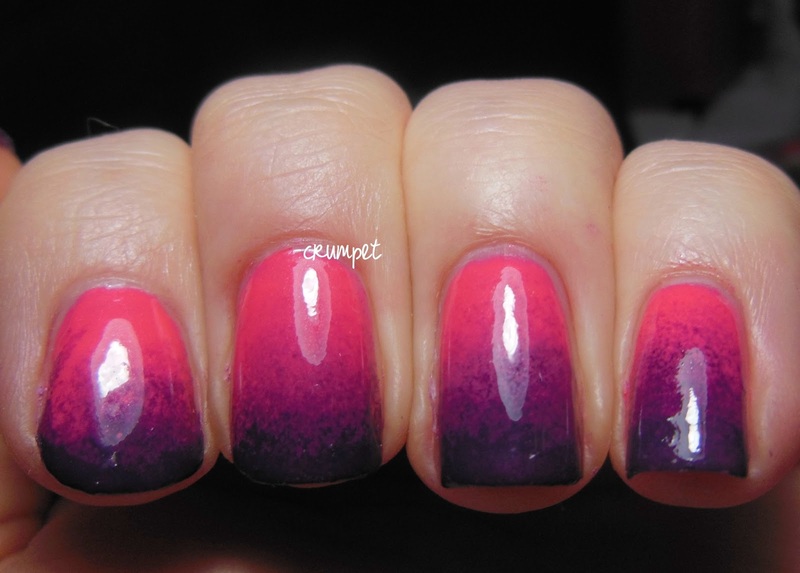 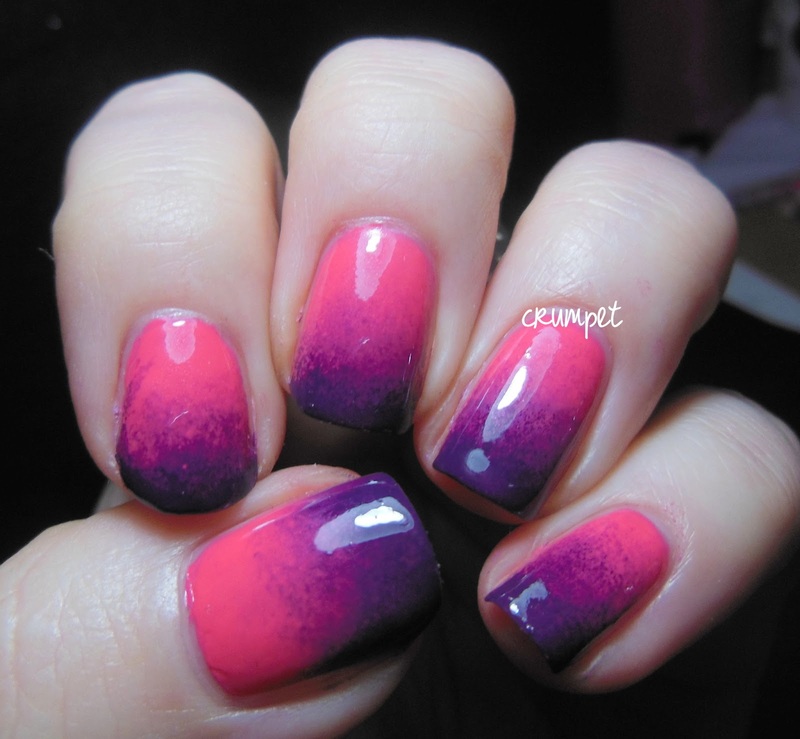 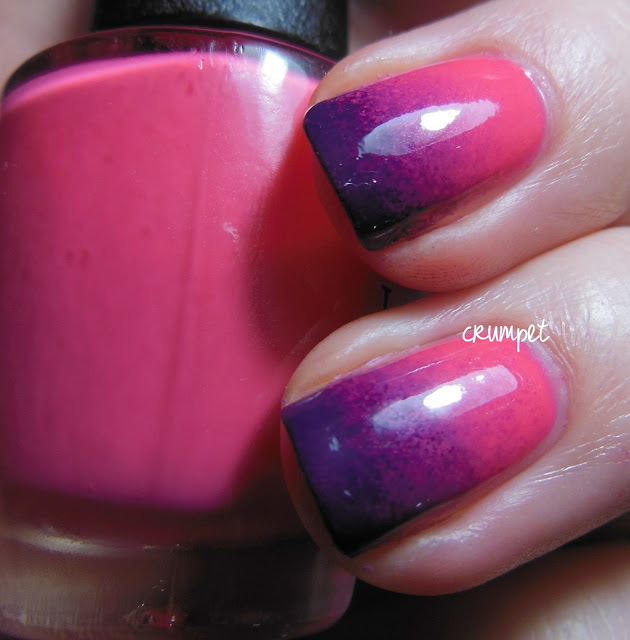 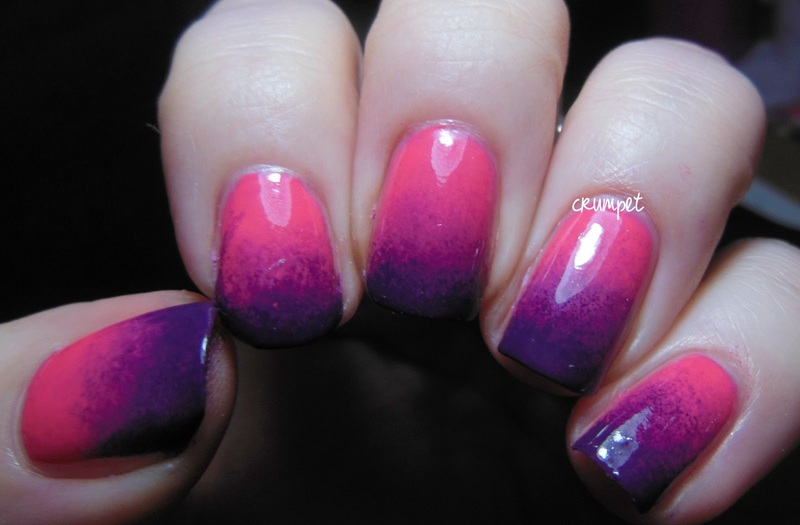 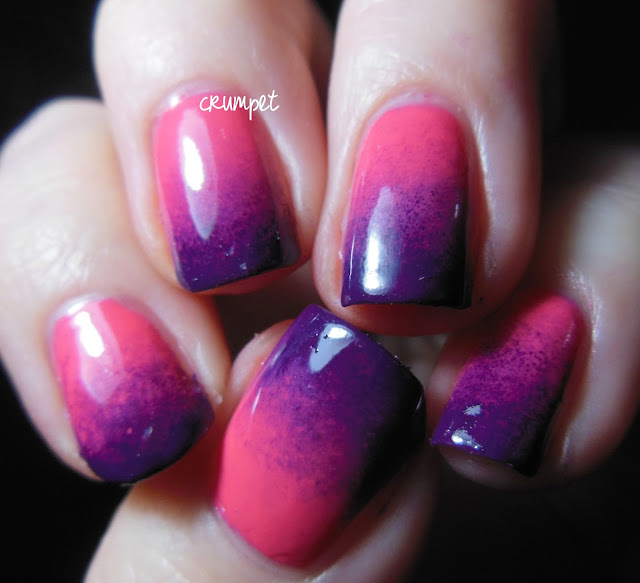 I've got a gorgeous gradient for you today, possibly one of the best I've ever done. 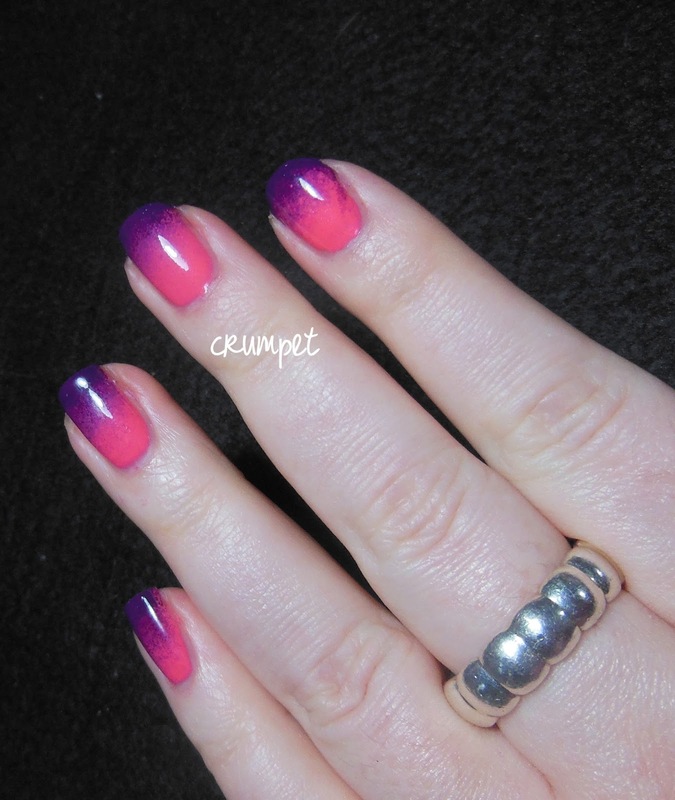 This features 2 of the OPI polishes I was sent for review, which, if you live in the UK, you can purchase HERE. 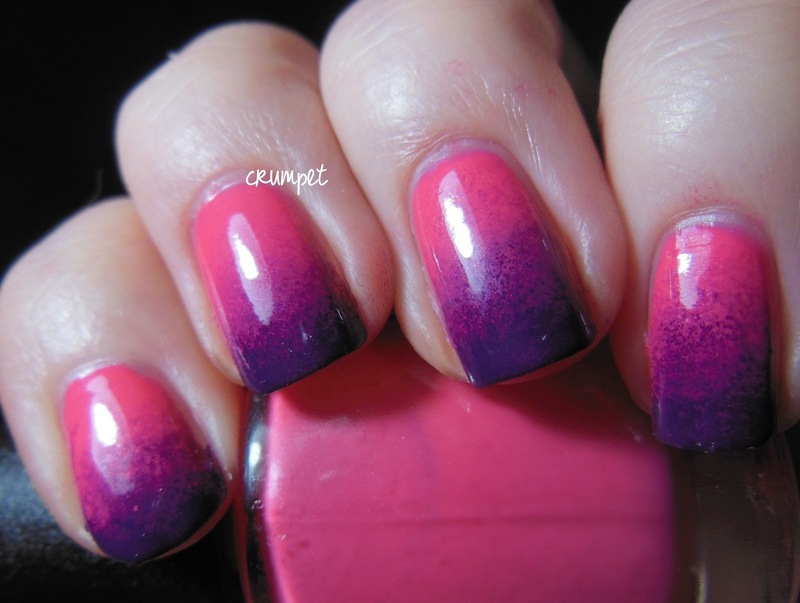 Suzi's Hungary Again is the pink, and Vant To Bite My Neck is the purple. 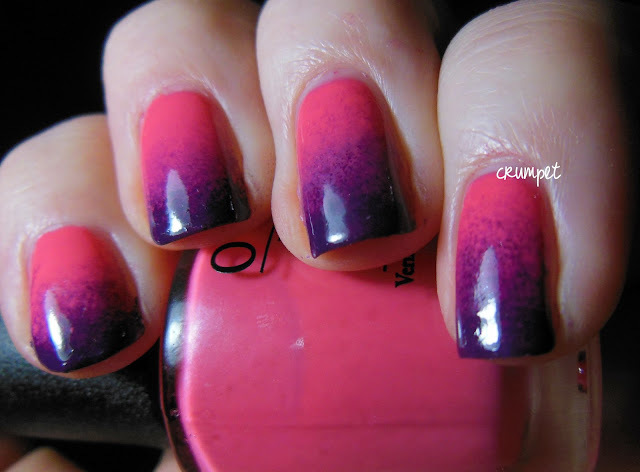 I love the effect on some of these nails, that lovely mushy moment in the middle where the colours start to collide and mush together. 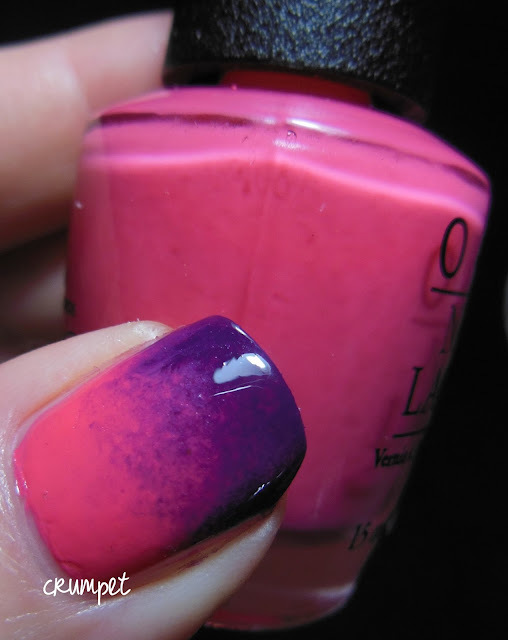 Tomorrow you can see my final post in this series - watercolour!